At ClockTower Cars, we take pride in delivering a comfortable, reliable and cost-effective private hire vehicle service in Leatherhead and the surrounding areas. Whether you’re headed to a business meeting in the town centre, or you’re looking for an airport transfer taxi to kick-start your holiday in style, our professional, time-served taxi drivers have you covered. Situated right on the bank of the River Mole, Leatherhead is a town filled with culture – and plenty of taxis! From Norbury Park and The Bear gastro pub to the Leatherhead Theatre and Chessington World of Adventures, there’s always something to enjoy when you’re in town – whether you’re a local or a tourist. However, navigating around the town isn’t always simple, and so relying on the unbeatable car hire services of ClockTower Cars makes sense. 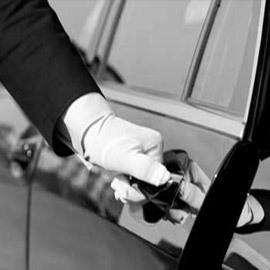 With over eight years of experience, our Leatherhead cabs service will never let you down. Our fleet of vehicles offers something for every occasion – whether that’s a trip into town or an important business meeting. If you’re looking for a reliable minicab in Leatherhead, book with ClockTower Cars today. You can speak to a member of our friendly and knowledgeable booking team on 01372 727 727, or you can download the new ClockTower Cars app. 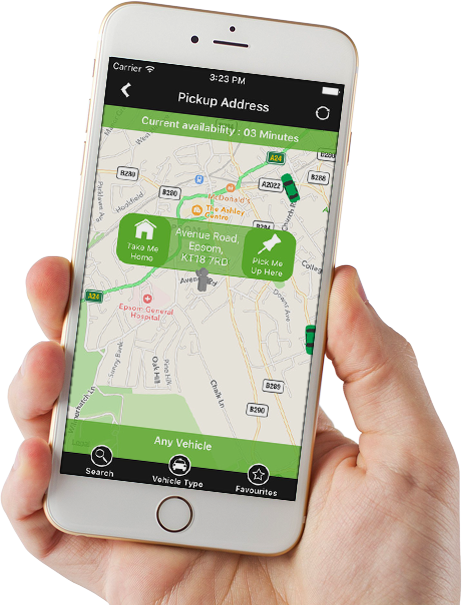 Available for both iOS and Android devices, our app allows you to arrange a simple quote for your journey, add multiple pick-up points, book on the move, and track your booked vehicle live. Our drivers are competent, professional and experienced. We are authorised and regulated by the local authority, and each driver been trained in Disability Awareness, DVSA and topographical knowledge to ensure a safe and comfortable journey every time you choose us. What’s more, we focus on continual development and improvement to ensure we remain at the forefront of minicabs in Leatherhead and the surrounding areas. We’re passionate about providing the best possible Leatherhead minicab service at the best rates. 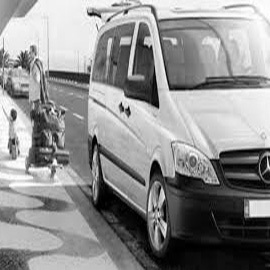 Our low-cost airport meet and greet transfer service serves customers across the region – and we cover all London airports. Our courier service can be used to deliver packages and documents safely and securely, while the fully vetted drivers on our school run service make for a convenient and worry-free alternative to child minders or school buses. If you’re ready to book your next journey, call us on 01372 727 727 or click here. I've lost count of the number of times I've needed a cab at short notice, and ClockTower is always there to help me out. Great prices and a high-quality service that I can always rely on. 10/10 to ClockTower Cars. Competitive rates, great smartphone app and always a friendly and knowledgeable driver. Been using ClockTower for years, and never been let down. Friendly drivers, great prices and always on time. Thanks! Always on time and always an excellent service. Used them for travelling around town and also when I needed to get to the airport and short notice. Great value for money – thanks!